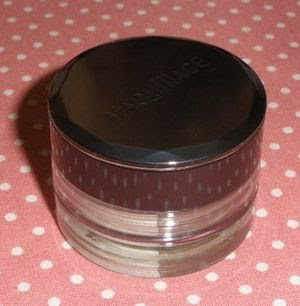 Shiseido added a small bunch of products for this fall season to the Maquillage makeup line. 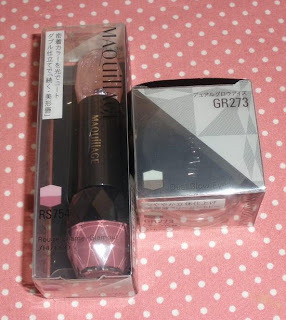 The new Rouge Enamel Glamour is probably the first really long-lasting lip color I have seen among Japanese brands. It´s the same concept as e.g. Lipfinity from Max Factor: Apply a thin coat of the lip color to the lips, let it dry for about 1-2 minutes without closing your mouth and then add the shiny gloss for extra shine and comfort (as the lip color alone is usually a bit sticky and/or feels really dry). After that the color stays put until it gets removed and you just have to reapply the gloss for keeping the lips moist and shiny. The first generation long-lasting lip colors I have tried were really drying and usually the colors were on the brighter, matte or dark side. Usually the lipstick wore off at the inner part of the lips so it didn´t look pretty after some hours of wear. 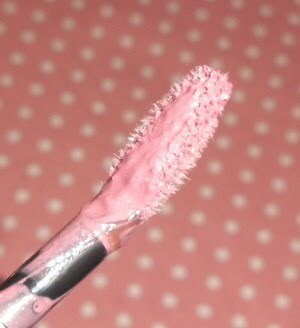 Greasy or oily food also made the lipstick wear off unevenly. 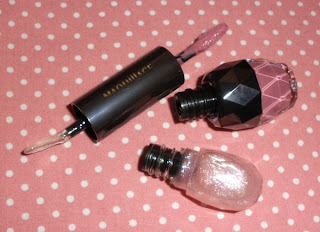 The new Rouge Enamel Glamour from Maquillage comes in a cute lipstick tube with the liquid lipstick one one side and the lipgloss on the other. There is 2.1g of the color and 3.8g of the lipstick which is thoughful as the lipgloss has to be used more often thus will be finished quicker if comes in the same weight as the lipcolor. The lip color is very smooth and applies really evenly with the soft fuzzy flat applicator but one must be sure to correct smudges right away as otherwise they will dry down quickly and then a makeup-remover (one with oil for waterproof makeup) would be needed to correct and mistakes. 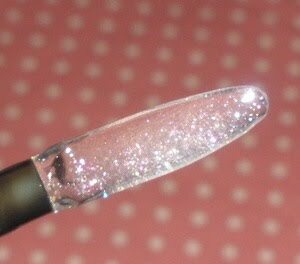 After letting it set for about 2 minutes I apply a coat of the gloss (flat clear plastic spatula applicator) which gives a really super glossy finish with fine shimmer bits throughout. I wore this yesterday for around 6 hours with lots of talking etc. and I only had to reapply the gloss twice until I used cleansing oil to remove the color. I am really happy with the color I got. RS754 is like a light plummy pink which looks very similar to my natural lip color. The gloss is clear with iridescent shimmer bits. 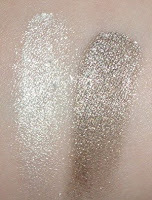 At first the color looks creamy but dries down to a nearly matte finish. The color opacity is about medium I´d say. 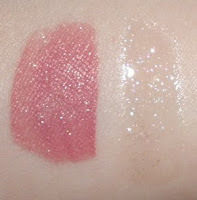 First swatch was taken right after application, the 2nd after about 5 minutes. 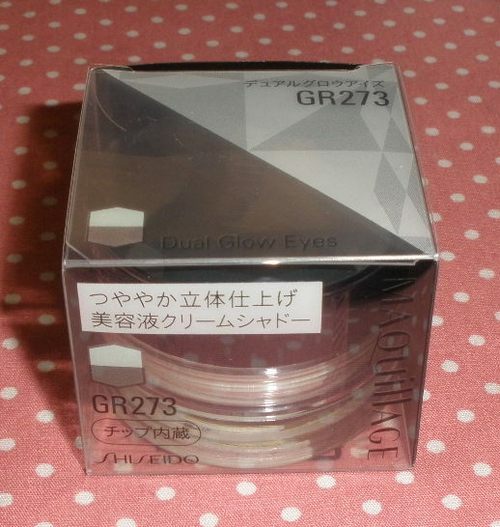 The other fall item I picked up is the Dual Glow Eyes in GR273 as mentioned above. 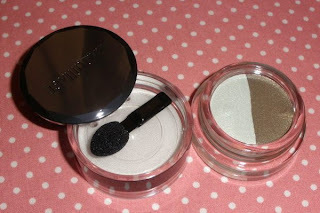 It´s a cream eyeshadow duo which is a reason why I didn´t even take a closer look at this product when I saw the first pics appearing on Rouge Deluxe. This is similar to the previous versions of MQ´s cream shadows but in my opinion the new version is nicer as it´s not so sheer and pastel like the other ones (this is solely judging based on trying 1 color of the Dual Glow Eyes though!). 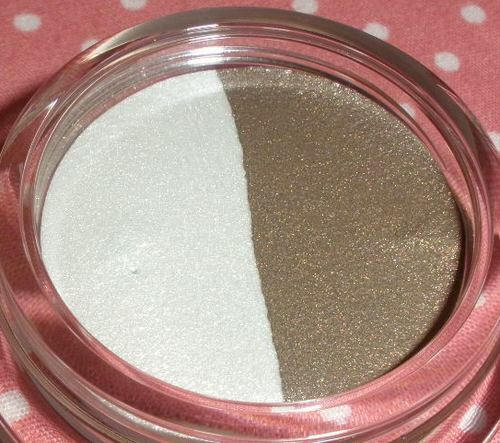 Cream shadows are something a bit tricky in my opinion. 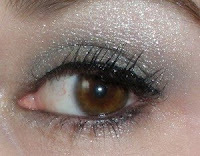 Either they are great and don´t budge/smudge/crease or they make a greasy mess on my lids... there is not really any stage in between in my opinion. To my delight the one from Maquillage falls into the first category which means the color, once set, will not move until it´s taken off. Application is a breeze with my fingers, the colors blend perfectly and don´t look messy or uneven on me at all. The darker color is really nicely pigmented and is complemented by the lighter more shimmery color really nicely. GR273 is a gorgeous smoky grayish-green paired with a light seafoam color. Quite subtle but cool color perfect for fall, even for those afraid of wearing greens! The shadows are both shimmery so some might find the amount of fine glitter a bit too much though! Overall a gorgeous set of makeup for the fall and exactly my kind of colors. I am very happy I picked them up! I got the items from Gooddealer but they can be found on many other websites like Mihokoshop, Ichibankao or eBay. Adambeauty doesn´t list these yet but will probably be the cheapest place to pick these up! Glad you like the eyeshadow! 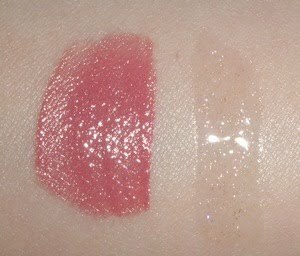 I've been trying the Rouge Enamel Glamour too but don't really like how it feels on my lips after the gloss as worn off. It tends to feel like I've got bits of stuff stuck on my lips. The shades are nice but it's just the texture that I'm having some problems with. But you always make the lipsticks look so yummy! 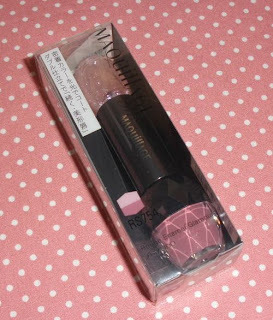 yea the long-lasting lipsticks are not everybody´s cup of tea but this one feels alright to me. It might help that I have a very natural shade, darker shades could wear off on the inner part of the lips and start to look uneven. In my experience it´s vital to apply a very thin coat of color or it can start to get flaky and uncomfortable over time. I love the shadows and the gloss. The colors are so pretty and they look really good on you too! whoa...I really want to try that Rouge Enamel Glamour! I've never heard of a lipgloss like that before...! Color is gorgeous too. oh wow the eye makeup and lipgloss looks FABULOUS on you! It's sparkly yet not the bad kind! It's really refreshing to look at! The Rouge Enamel really looks gorgeous on your lips! I have seen these on Gooddealer for such a long time but I have been buying so many eyeshadow palettes that I thought I shouldn't buy anymore make up! But seems like I will just have to get one after reading this review =) I also thought the cream shadows look a bit blah in the promotional pamphlet I grabbed at the departmental store but the GR looks really good on you! Maybe I should really go to the store to check it out after all... Seems like moss green's really in this fall? Chanel's Enigma has moss green too! 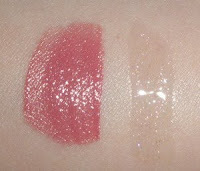 you always find such nice colours for the lipsticks/glosses! i've been trying to find one which suits me forever!